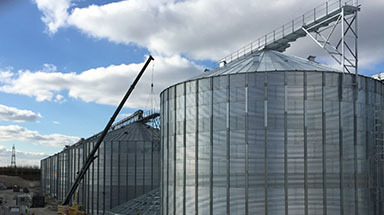 This project consisted of three 23 meter diameter 14 ring flat bottom silos each holding 5,700 tonnes with a 1.5 metre top catwalk. 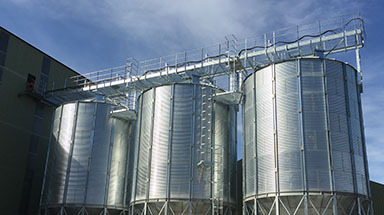 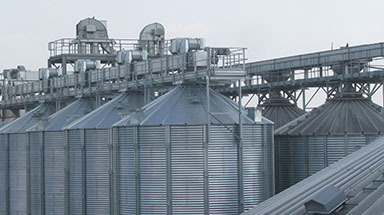 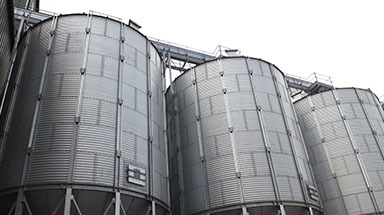 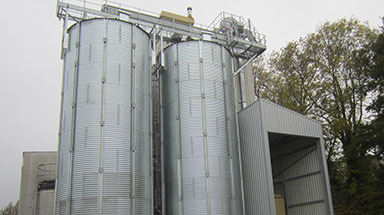 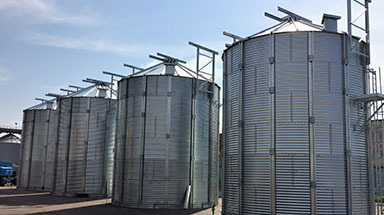 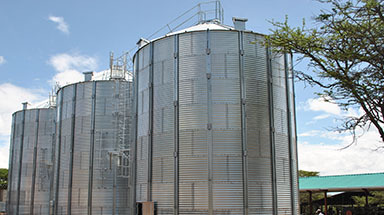 These silos were designed to fit into an existing system. 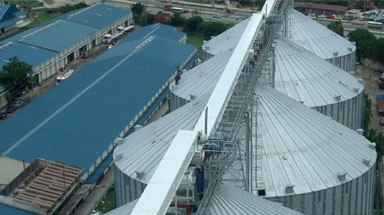 The customer required a bespoke roof design, which was different to our standard roof pitch. 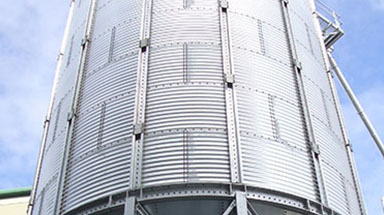 In this instance, we designed a 25° pitch, as opposed to our standard pitch of 30°. 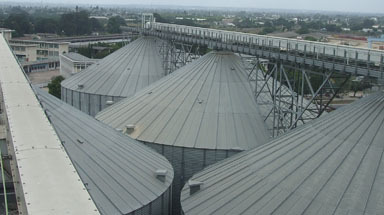 The existing silos were actually 2 rings shorter, meaning that the 1.5 metre wide top catwalk had to connect with an incline of around 12°.